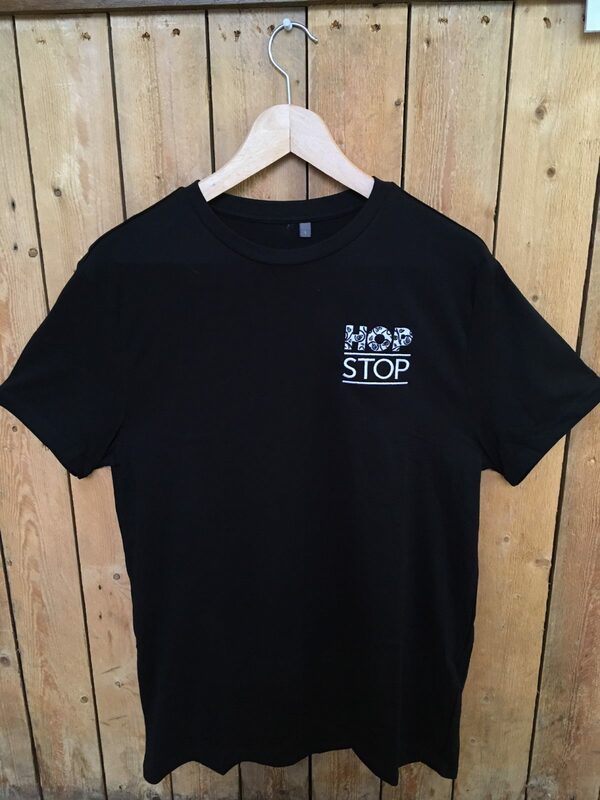 That’s right you can now show yourself to be a true beer connoisseur and impress everyone by wearing your very own Hop Stop t-shirt. Sure there is something to be said that at this time of year few of us are wearing t-shirts not covered by jerseys and jackets but it is definitely the thought that counts. Available in any colour you like as long as it is black and featuring a stylish embroidered Hop Stop logo on the chest these are sure to be a hit this winter season. You might notice that at times we have a run of draught beer from a single brewery. For example recently there has been a trio from Gadds’, currently we are working our way through Holler and Time and Tide and just this week the first of a collection of Bristol Beer Factory firkins has been tapped. Sometimes we get our draught beer from wholesalers but we prefer to deal directly with breweries where we can. Dealing directly has numerous benefits; it shortens the supply chain as the brewery either delivers direct or we collect, the beer we get is the freshest possible and of course the price is generally better as well. Understandably breweries won’t deliver one cask to us just as it is uneconomical for us to drive 20 miles to collect one cask hence we order 3-4 (or more) firkins or kegs from a brewery at a time. As we like to serve our draught as fresh as possible (the styles of draught we sell don’t benefit from ageing) it means, as you have probably worked out by now, that from time to time we have a run from a certain brewery. Think of it as a slow burner of a tap takeover. Don’t forget we are out and about at the following Christmas Fairs this weekend and the shop will be open as per normal of course. I think by the time Sunday night comes around we will all be ready for a beer. Candemonium this week including our first Christmas can. You might have tried this on draught in early October and can remember it’s crisp, pine and resin notes with a big bitter finish that smack of the old school West Coast USA style of IPA. Well the can version delivers the same which, as a huge fan of this style, I was delighted by. From cult American brewery Rogue Dead Guy is a Maibock which initially feels dominated by a sweet, toffeish malt until the bitterness kicks in and cuts the sweetness down to size, readying you for another sip. I really enjoyed this, especially as an antidote to the vast array of fruit bombs on the market currently. One word of warning though is at 6.8% it packs a punch and doesn’t neccesarily drink the strength. By the way if you try it and like it we also have in stock Rogue Dead N’ Dead which is Dead Guy aged in ex Dead Guy Whisky (Rogue make spirits as well) barrels. Freshly arrived so I haven’t yet had a chance to try it but it sounds intriguing and Gipsy Hill are normally a safe bet. A Christmas Kriek, Blitzen was soured initially before a mix of sour and sweet cherries were added for that fruity taste and a touch more sourness. With a cherry tartness could it take the place of cranberry sauce on the Christmas table? I might have to do an experiment to find out.